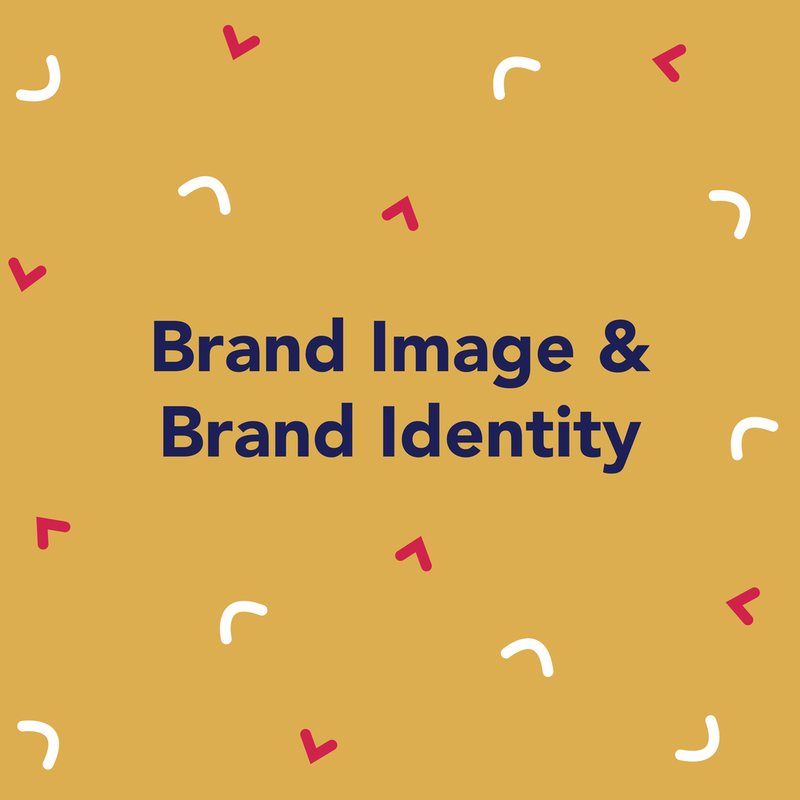 Every brand has an identity and every brand has an image. The congruency of these will in turn increase your brand loyalty. I attended many a lecture and wrote a number of papers on brand image and brand identity for my Marketing Master’s. It’s a topic that is supported heavily by research and theories and one that I find really interesting. It is important to understand that consumers identify differently with brands. We don’t all have the same opinions and therefore don’t all perceive brands the same. So, what’s the difference between them? A brand is an intangible aspect that adds value and ideas to a product or service. Image and identity are used by brands to outshine components of a competitor’s product. Brands can add value with things like functionality and health benefits, to position it as greater than competitive options and maintain a positive brand image. Brand identity is a collaborative approach of consumers and the company making and communicating who and what the brand is and why it is different to competitors. It is ultimately who your brand is, what your values are and how you market yourself. Your brand identity should position you appropriately to attract clients and customers. Therefore it is important to understand what your competitors are doing so that your brand identity will aid your strategic position amongst others in the industry. Things like colour, design, name and logo make a brand identity different. Your name should be relevant to your service, as well as logo, colour and marketing collateral. Brand image is how the world perceives your brand. This is something you cannot control and might not be in line with your identity. The intangible, emotional aspects of your brand that are key to its personality must be amplified to create a connection with the consumer. You could identify as a high quality, sustainably sourced clothing retailer, but your image may be that of an over priced fashion brand. Remember that consumer’s position themselves through brands. They buy into an image-based lifestyle that is managed by their perception of brands. For example, vegans will naturally associate themselves with sustainably, cruelty-free identified brands, like those trying to get into the fashion industry will align themselves with brands perceived to be up and coming, and style setting. Therefore, recognising your brand image is vital for success. You should be willing and able to alter your brand identity to react to the environment, which in turn will improve your brand image. The economy and social trends are factors likely to influence your values and how you identify in order to maintain or increase consumer loyalty. Minimising the gap between identity and image will increase brand loyalty. Due to an extreme time compression of content production due to technology becoming instant and globally accessed, consumers have shorter attention spans and digest and react to content much faster than ever before. Ensure that you are able to multi-task and stay up to date with current trends and perceptions of consumers that change by the second across multiple media platforms. Twitter is used by brands to reply to criticism and order queries. This is a good way to maintain a positive brand image or changing a consumer’s perception of your brand. Replying to tags and comments on social media will give a friendly, approachable image of you to consumers. Staying relevant and up to date on social media will ensure consumers don’t forget about you. The way we consume content has shifted resulting in a rise of influencers that many consumers rely on for advice and recommendations. Influencers can alter your brand image positively or negatively, in turn changing brand loyalty. Influencer marketing can be key in improving your brand image an advertising it to a wider audience. Hyper-competition leads to un-differentiation. In a saturated market, consumers struggle to tell the difference between products that seem the same but are from different brands. If your services are part of an industry where many other brands are doing the same, it’s vital to position yourself in a way that enables a consumer to identify you as better than the competitor. For instance, deciding which phone contract to go for is difficult when the costs are pretty similar across all brands. This is why phone companies add extras like cinema tickets and discounts in order to help consumers choose them instead of competitors. Hopefully this has explained both the importance and complications of getting brand image and brand identity right. To grow as a brand and successfully manage and market your company, particularly in the fast paced technology driven industry we are in, it is vital that your brand identity speaks volumes above competitors and reaches your target segment on a personal level. A positive brand image will result in your ideal consumer becoming a loyal costumer, whether that means they purchase regularly, or they continue to engage with your brand. Getting your identity right will help formulate your desired brand image.